Rand Removals is committed to offer a removal service that is personal, giving the customer the confidence to trust their items with our company. As the owner I undertake to oversee all aspects of your business with us. Mission statement – Offering a personal, flexible and stress free service at a fair price. As long as your inventory stays the same, so does our price. From our uniform and fully trained staff, to our clean vehicles fitted with blankets and tie straps, your personal belongings will be taken care of. We don’t think of your removal as a one-time transaction, for us each move represents an on-going relationship. Constant feedback tells us that of all the hundreds of moves we do each year, the majority of our clients are from personal referrals. Fully insured and trusted business. As an established business that cares, we do our best to ensure the highest level of care and protection for your home and personal effects or business assets. As a socially responsible business we have implemented several green policies and continue to explore solutions to help decrease our impact on the environment. Boxes and packaging recycling. Once you have moved and unpacked, disposing of boxes and packaging can prove difficult, This is why Rand Removals removals collects your moving boxes and re-use/recycle, thus helping our community and environment. Furniture donations We know that with every move sometimes our customers want to part with good reusable furniture and appliances. While customers want to donate to a worthy cause, it can sometimes be difficult to schedule and transport these items during your move time. That is why for a small transport fee we can deliver them to a charitable organisation of your choice. Supporting the NAS Autism directly affects about 500 000 people in the UK. 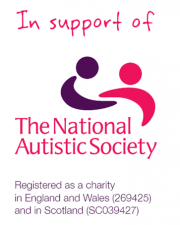 Rand Removals is proud to support the UK’s leading charity for people affected by Autism. It is said that we will move an average of 8 times in our lifetime (Google it, it’s true…apparently)…myself, I’ve moved 20 times (yes, TWENTY) and I’ve a long way to go yet! I’ve seen it all when it comes to removal services…the Good, the Bad and the (very) Ugly. I called Tony and Dave at Rand Removals to help move my belongings…firstly, to storage…then finally, into my new home. Believe me when I tell you that these guys are the best I’ve EVER used. Courteous, extremely efficient, super friendly, focused…I could go on, but I won’t…if you need anything moving, these guys will not only do it, they’ll do it better, more efficiently, more securely and quite probably, cheaper than ANY OTHER comparible SERVICE you could hope to find in the North West. Thank you Tony and Dave, you transformed an ‘epic’ into a lovely day. I used Rand Removals for a move from North Manchester to Didsbury at the end of August 2015. After a brief conversation with Tony on the phone, describing the kind of furniture and items I had, he estimated the job taking 4 hours. It came in at slightly under 4hrs 30mins – entirely due to me adding an additional stop to pick up furniture and having more boxes than expected – neither of which was a problem to Tony and his team. Great service – they literally don’t stop, back and forth to the truck, until the job’s completed. Even helped putting some of the furniture back together in my new place. Definitely recommend them! We contacted Antonio on a Sunday afternoon in urgent need of a removal service after he was recommended by safe store. We agreed terms and Antonio made himself available for the following day which was exactly what we needed! Antonio was on time, extremely polite and very helpful. We would say also that Antonio went out of his way to assist us with taking the furniture into our home despite many obstacles! Antonio was courteous, polite and also made sure that there was no damage to the property being moved and no damage caused when taking the property into our home. We would recommend Antonio to EVERYONE, he really was excellent.